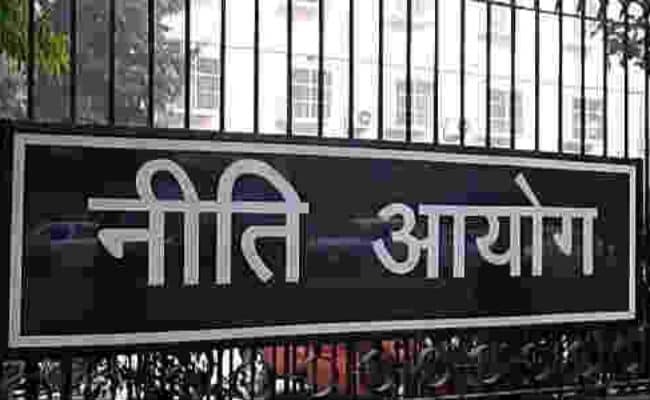 New Delhi: Making a case for promoting highly productive and well-paid jobs, the government's think-tank NITI Aayog has said that "severe underemployment" and not unemployment is the main problem facing the country. NITI Aayog in its three-year action plan released last week has said that a focus on the domestic market through an import-substitution strategy would give rise to a group of relatively small firms behind a high wall of protection. "Contrary to some assertions that India's growth has been 'jobless', the Employment Unemployment Surveys (EUS) of the National Sample Survey Office (NSSO) have consistently reported low and stable rates of unemployment over more than three decades," the report said. 2019-20" said. "What is needed is the creation of high-productivity, high-wage jobs," it said. Citing examples of top manufacturing countries like South Korea, Taiwan, Singapore and China, it said, "The Make In India campaign needs to succeed by manufacturing for global markets." Noting that with Chinese wages rising due to an ageing workforce and many large-scale firms in labour-intensive sectors in that country looking for lower-wage locations, the NITI Aayog said, "...with its large workforce and competitive wages, India would be a natural home for these firms." "Therefore, the time for adopting a manufactures- and exports-based strategy could not be more opportune," it added. The NITI Aayog in its "Three-Year Action Agenda" recommended for the creation of a handful of Coastal Employment Zones (CEZ), which may attract multinational firms in labour-intensive sectors from China to India. "The presence of these firms will give rise to an ecosystem in which local small and medium firms will also be induced to become highly productive, thereby multiplying the number of well-paid jobs," it said. Making a case for reforming labour laws, the NITI Aayog said recently fixed-term employment has been introduced in the textiles and apparel industry. "This option may be extended to all sectors," it said.